Muffin Break is a muffin & coffee café franchise and subsidiary of the Foodco Group. Over the years, we have worked closely with Muffin Break, and have gained a thorough understanding of their brand, their target customer, and their store rollout concept. This ensures a smooth process when it comes to implementing their concept in a new site. Muffin Break, Lakelands was a new site – and we worked in unison with Foodco to develop both the functional floor layout and the design concept. These, once approved, were taken through to preliminary documentation, followed by construction drawings, once all relevant approvals and tenders were obtained. For Muffin Break, Lakelands – the feature timber bulkhead extends over the kitchen area, with rear illuminated signage to the face of the bulkhead. 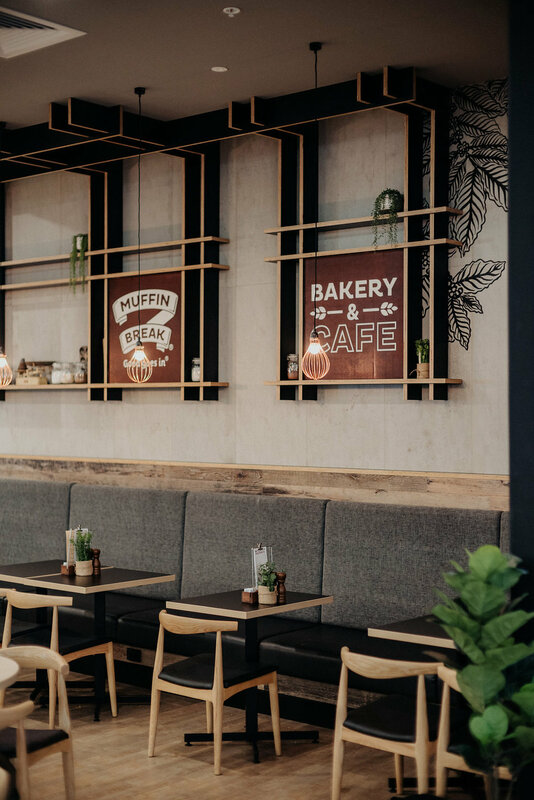 Muffin & Cake displays are encased within quality stone joinery and the point of sale counter, mirrors the rustic timber that features on the bulkhead. Throughout the store, ply feature framework is consistent – on the rear wall, on the shopfront and within the servery & kitchen. Within this feature framework is Muffin Break’s brand messaging – which is used on all stores across Australia. 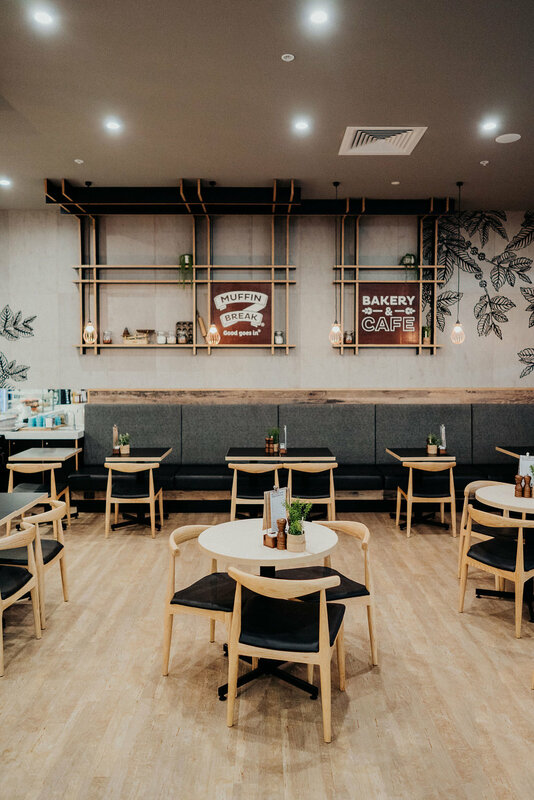 By repeating finishes, design elements and graphics it creates design consistency and brand recognition, not only throughout this store - but also on stores across Australia.